- On the inside of the shirt there is a smiley face and confetti. Ever since I saw this shirt be released I was hoping and looking for a way to get this in my possession. I would look on their website and try finding other websites to see if I could pick one up at a reasonable price and avoid paying the high costs of importing the shirt into the country. You can imagine my amazement when I saw this shirt pop up on Classic Football Shirts. I bought it immediately and sat by the postbox waiting for it to arrive. Once I opened the package it was everything I expected and more. 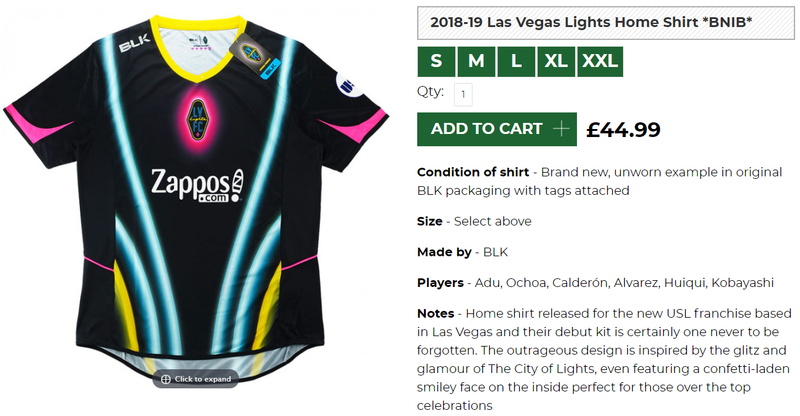 In 2018, the Lights gained notice for being the first professional sports team (in any US league) to be sponsored by a licensed marijuana dispensary.